Dr. Fatih Kocabaş developed a metabolic approach to isolate stem cells from bone marrow and heart, which lead him to discover unique metabolic profile of mouse hematopoietic stem cells (HSCs) (published in Cell Stem Cells), glycolytic cardiac progenitors (GCPs) (published in JCTR) and their respective cardiac hypoxic niche. In addition, his studies using novel mouse heart regeneration model lead to discovery of Meis1 that regulates the heart’s ability to regenerate after injuries (published in Nature). In addition, he got special training in “Basic hESCs and hiPSCs Biology” at Stanford University. He is now leading regenerative biology research group at Yeditepe University, Istanbul. His research interests include elucidating the molecular mechanisms of regenerative ability of neonatal mice myocardium, small molecule induced reactivation of cardiomyocyte cell cycle, identification of metabolically distinct tissue and cancer specific stem cells using metabolic profiling, and in vivo and ex vivo small molecule induced stem cell expansion. 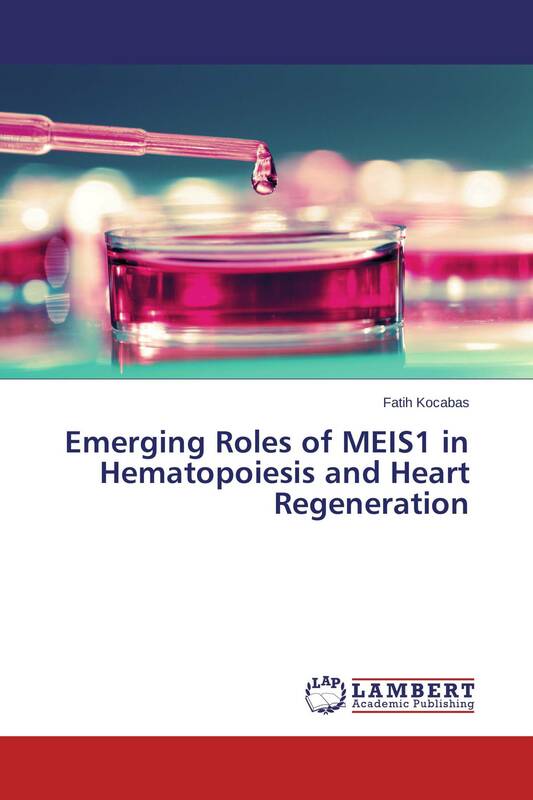 In this book, Dr. Kocabas discusses emerging roles of Meis1 in various aspects of regenerative biology.